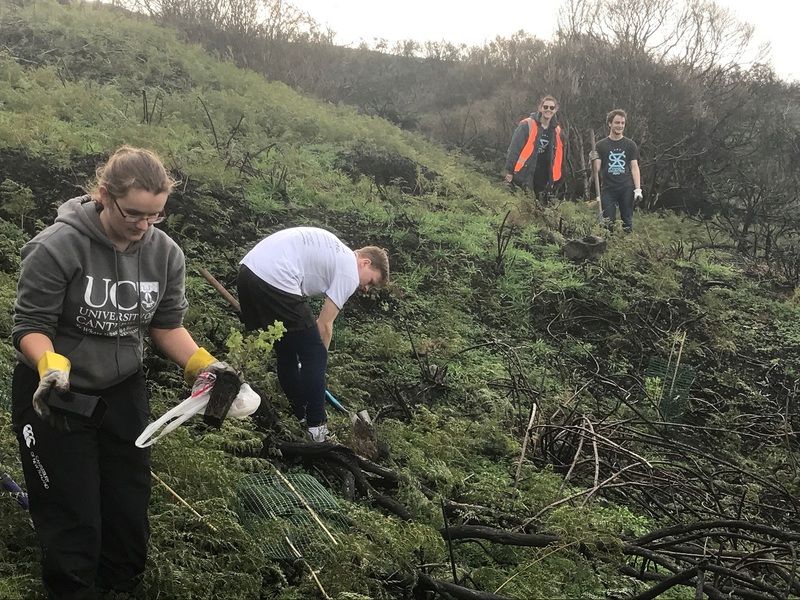 On Saturday 24 June the Student Volunteer Army (SVA) headed to the Port Hills to help the Summit Road Society with the recovery process from the February scrub fires. With a stellar view and perfect weather the volunteers planted hundreds of native trees. Don’t worry if you missed out on the fun there’s a second day of planting planned for Saturday 1 July, see Facebook for details. Emma McCone is a postgraduate student studying towards a Master’s of Science, she shares her journey into postgrad study. I finished the third and final year of my bachelors degree feeling like I wasn’t ready for a full-time job and the real deal adult life. I fell into postgraduate study and enrolled for a Master’s of Science. If you learn one thing from me and this blog, make it that postgraduate study can be for anyone who’s just passionate about what they’re learning and prepared to stay at uni a few years longer. I learnt about postgrad after meeting some friends the year above me who’d just started their Masters. Second key message: postgrads aren’t scary, they’re not a different species and if you spend some time getting to know some in your department, you may find you have a lot more in common than you thought. Once I’d met people and started the discussion about what postgrad is actually like, everything else fell into place. I talked to them more and more about the things they got to do during their Masters, I actually had conversations with lecturers and they knew my first name. All of a sudden everything seemed much more achievable and easy. Just know that if you’re finding yourself towards the end of your degree and not sure what on earth to do with yourself, postgrad is not just for the straight A+ students. I am living proof of a student who just wasn’t ready to let go and move into the big scary world of full time work, smart casual dress and pretending to be an adult. I love what I study and I’m enjoying my Master’s degree so much. I’m so excited about having at least another two Tea Party costumes and memories to come. I love being a student and always meeting new and exciting people. Maybe at the end of this degree, I’ll be grown up and ready! I guess there’s always a PhD if not…. 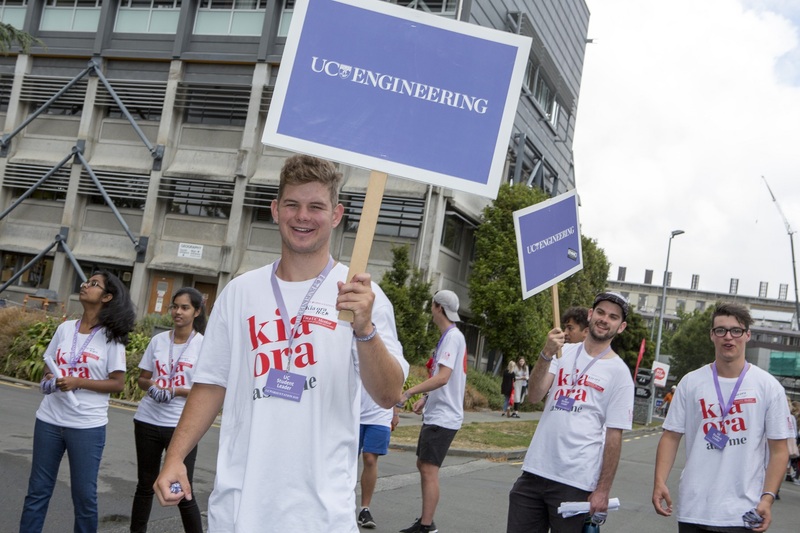 The Events and Partnerships team are seeking enthusiastic volunteers to sell themselves for free stuff and help potential students have the best Open Day experience possible. There are only 16 spots left so get in quick! Providing help and support is your gig. There will be a special station for you on Open Day. You’ll assist visitors with questions like ‘where will I get a good coffee?’ and ‘what time is the next info session?’ You’ll also monitor sessions taking place in your area. You know the campus well and can’t wait to show it off. We need you to lead small groups of visitors on a loop of the campus, pointing out all the key buildings and facilities and answering questions. We’ll make sure you know where activities are taking place during the day so you can point them out and help our visitors feel comfortable on campus. FREE stuff: For your trouble you get a cool tee shirt to wear (and keep), a drink bottle, your choice of finger-less gloves or a beanie and all the tea, coffee and hot chocolate you can drink from the volunteer’s kitchen.